According to the National Eczema Society, one in five children and one in twelve adults have eczema. It can affect all age groups, but is prevalent in children – if you had eczema as a child, you may have heard the phrase ‘you will grow out of eczema’. This can be true, but eczema can also reappear in later life. 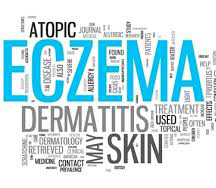 Allergy UK state that eczema, also known as ‘atopic eczema’ or ‘atopic dermatitis’, is a skin allergy/condition causing inflammation and intense irritation. Eczema symptoms tend to be caused by dry skin. Being atopic means having a genetic tendency for your immune system to make increased levels of antibodies to certain allergens. An atopic individual is likely to have more than one allergic condition during their lifetime, such as eczema, asthma, hay fever or food allergy. Eczema is often quickly diagnosed by a doctor and they will be able to differentiate between eczema and other skin conditions. It has been recognised that whilst people may not have ‘full blown’ eczema, their skin may be affected by changes in the seasons and emotional responses such as stress. Many eczema sufferers however cannot link their symptoms to a cause which can be very frustrating. There are ‘trigger’ items and products that can affect individuals and result in an eczema ‘flare up’ – these include reactions to cosmetics & beauty products, dairy-based products, cleaning and industrial products. Emollients – emollient lotions and creams are prescribed for treating atopic eczema and dry skin, and are in their simplest form, mixtures of oil and water. Topical steroid creams – it is sometimes necessary to apply topical corticosteroids (e.g. hydrocortisone), as these reduce inflammation in the skin caused by eczema. Wet wraps – sometimes, special pyjama-like garments (known as ‘wet wraps’) that are used for children may also help certain areas of your body that have not responded to the usual topical application of emollients and steroids. Calcineurin inhibitors – calcineurin inhibitors are an alternative to steroid creams. Like steroid creams, they reduce the skin inflammation and can lessen itching. With so many types of eczema, different ways of treating the symptoms and lots of potential trigger points, it can be difficult to keep track of your allergies and how to manage them. 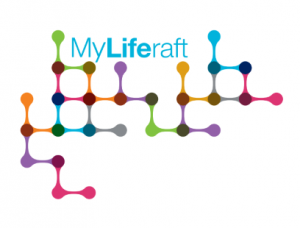 The tools within MyLiferaft can help you and your family build a picture over time of what you are allergic to, when you have experienced eczema flare-ups, how they impact your daily life, and what you do to minimise the risk. MyLiferaft automatically displays allergies within the appropriate sections i.e. a food allergy will be displayed in the food section and a medication allergy in the medication section. When you update your information you can detail which treatment(s) you use to relieve or treat symptoms and what others should do if you are suffering from an allergic reaction. By using the trackers to keep a record of symptoms and triggers, this can help identify the cause of your eczema flare-up and/or allergic reaction. You can also share this information with people in your care circle so they know how to recognise if you are suffering from an allergic reaction, what they can do to help reduce your exposure to allergens, or what to do should you need help. If you think that MyLiferaft could support you and/or a family member to manage their eczema, then sign up for a FREE account today. Additional Note: please note that MyLiferaft is an online solution to help manage your health, care and well-being. The information in this blog has been adapted from several of the websites listed in the Resources paragraph. For further help and advice on eczema, please refer to your GP.